Looking for the perfect group adventure? 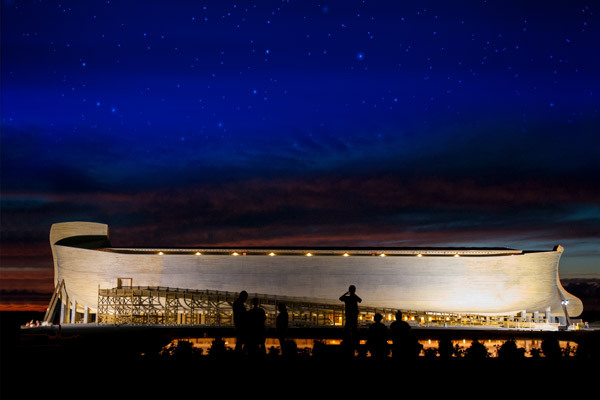 Spend a night aboard Noah’s Ark! This behind-the-scenes opportunity is especially popular with youth groups and Christian schools. 2019 programs are booking now. Request your reservation soon! Overnights are available Sunday through Friday evenings all year long. Bookings must be at least two months in advance. After the Ark is closed for the day, all three decks of stunning exhibits are yours to explore at your own pace. Start the night out with a tour, games, and a snack, and then settle in for an entertaining and educational video before bedtime. Roll out your sleeping bags and settle in for a night aboard the Ark with Noah’s family and the animals. Girls and boys sleep separately on the Ark’s second and third decks. Pop Tarts, yogurt, granola, cold cereal, assorted muffins, milk, coffee, orange juice. Assorted muffins, cold cereal, assorted fresh fruit, waffles, breakfast burritos, yogurt, granola, milk, coffee, orange juice. Meet exotic animals like zebras and ostriches up close with a behind-the-scenes tour from the zoo staff at Ararat Ridge Zoo! After your zoo experience, your group is free to explore the Ark and grounds for the rest of the day. Check-in for overnight visit at Admissions. Bring in bedding. Preparation for bed. Lights out at midnight. Wake up. Gather belongings and return them to vehicles. Note: Bedding and shower facilities are not provided. Minimum of 30 participants (or paying for 30) required, maximum of 90. This program is intended for youth and school groups ages 9 to 17, not groups of adults. One chaperone per 10 participants required (minimum of four, maximum of eight): Two male, two female. Additional chaperones beyond eight must pay participant rate. Don’t miss getting your group picture taken by Foto FX! Special overnight package rate of $16 includes one print, with the option to add additional copies for $6 each. Or get a package of three photos with the choice of the nighttime background and two of our other backgrounds, plus digital delivery, for only $32. Please use the form below to request your reservation before booking a group, in order to confirm details and availability. A $250 deposit is required at the time of booking. Final payment is due three weeks before the overnight. See payment, cancellation, and rescheduling policies for more information. Saturday night overnights are not offered. Closed Thanksgiving, Christmas Eve, and Christmas Day. Minimum group size is 34. Maximum group size is 100. Want to spend a night with dinosaurs? 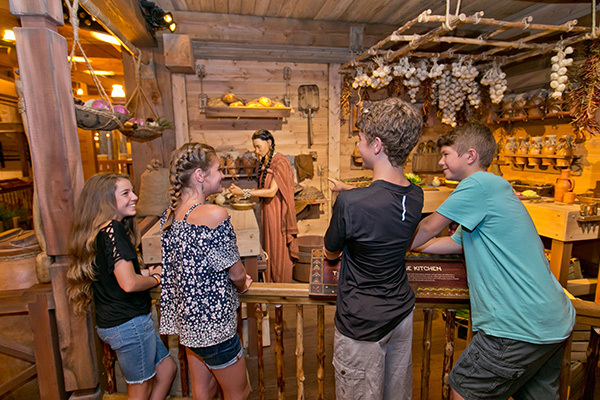 Book your next overnight adventure at the Ark Encounter’s sister attraction, the Creation Museum.